Unloadyourgold.com is an Indiana-based retailer that purchases precious metals and fine jewelry. We are located in Elkhart near many of the Midwest's largest jewelry and precious metals markets. We are owned and operated by knowledgeable precious metal and jewelry experts who are passionate about offering outstanding customer service. We use this passion to offer our clients an easy way to sell their unwanted gold, silver, and fine jewelry for a fair price. --United States gold and silver coins. --Gold jewelry items including rings, necklaces, and bracelets. --Unmounted diamonds and high-quality diamond jewelry. 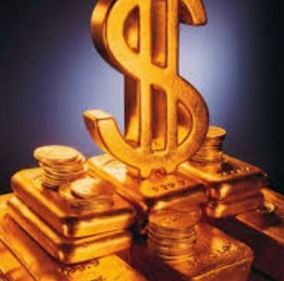 We also buy many forms of gold and other precious metals that are not listed here. For more details about these items, please visit our website. --Separate your items according to their precious metal content and approximate value. --Package your items securely in bubble wrap. --Mail your items via USPS Priority Mail or Registered Mail to our Elkhart-area store. Don't forget to add insurance to cover the cost of insuring higher value items. If you have any questions about how to mail your items to us, please call us at 877-331-9560 before you begin. We would be happy to help you resolve any problems that make selling your gold, silver, or fine jewelry to us difficult. We understand how difficult it can be to find accurate values for precious metals and fine jewelry items. That is why we offer free appraisals that can help you accurately determine how much your precious metals and fine jewelry items are worth in today's market. You can trust us to offer accurate and honest appraisals for your items because we have many years of practical experience appraising precious metals and fine jewelry for Elkhart-area residents. We are happy to visit you at your Elkhart-area home or office to purchase larger collections of precious metals and fine jewelry. You can trust us to complete the purchase of your collection in a timely manner because we have the financial resources needed to pay for your collection immediately.